Wispelwey is a dental practice serving Bergen County since 1980. Though the practice has a longstanding reputation for excellence, it was in need of a new website to give patients basic information they expect to see online and to draw in new patients. A family-owned practice, Wispelwey Dental had recently hired Chris Wispelwey, the owner’s son, as a new dentist. The new website needed to reflect this and introduce Chris as part of the practice. 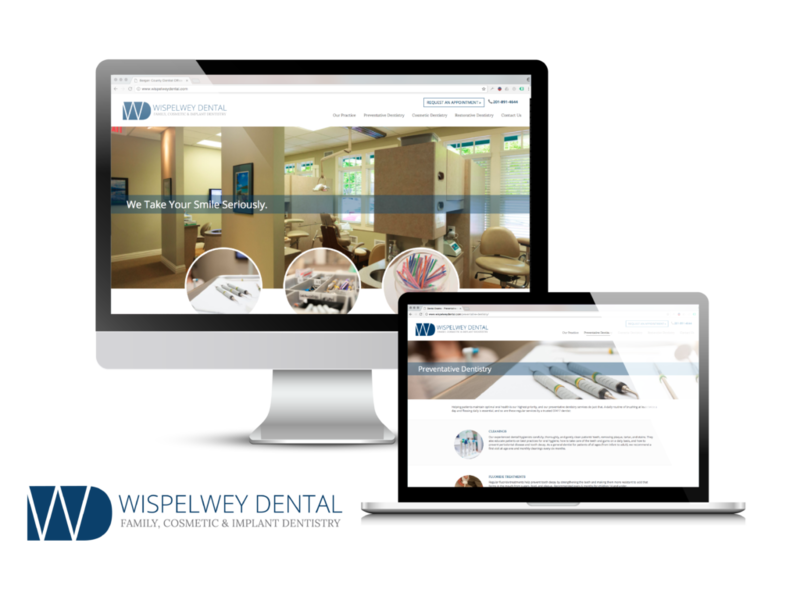 A major goal of Wispelwey Dental was to let their warmness and easygoing demeanor come across to web visitors and make them feel comfortable before visiting. We replaced the old website’s stock photos with new photos that we took of the office and its staff and added personality to the website by creating friendly, conversational copy. We honed in on the three different types of services to build credibility with patients and prospective patients and optimized all copy to draw new visitors to the site. We added a simple “Request an Appointment” form to the website that goes directly to the office manager. Traffic per month on the website had doubled, with an average of 60% a month coming from Search Engines. Wispelwey Dental has also received multiple appointment request forms each month, from both new and existing customers who prefer that way of communication. We’ve also continued working with them to create a logo and branding for them to use across all platforms, as well as create print ads for local sponsorships.